Made up of Oats, Museli, Wheat flakes, corn flakes, almond, raisin & Chocolate. We are a top notch supplier of Nutrition Bar. Patanjali Energy Bar: Fruits with Raisins, Orange Pell, Dates, Oats, Rice Crisp, Cornflakes. Our All Good bars are handmade with pride using only natural ingredients and do not contain any added sugar or preservatives. Imagine you wake up on your bed. You rush through morning chores as your phone goes beserk giving you notifications from 20 different apps. You don’t have time to look after your own health and you commit a nasty crime by skipping your breakfast. 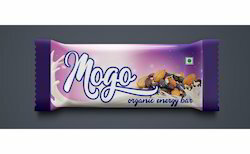 Weight (g): 40 gm bar. Box of 175 gm approx.